Dr. Lucien Hardy received his PhD at Durham University in 1992 under the supervision of Professor Euan J Squires. He has held research and lecturing positions in various cities across Europe. While in Rome, Dr. Hardy collaborated on an experiment to demonstrate quantum teleportation. In 1992 he found a very simple proof of non-locality in quantum theory which has become known as Hardy’s theorem. 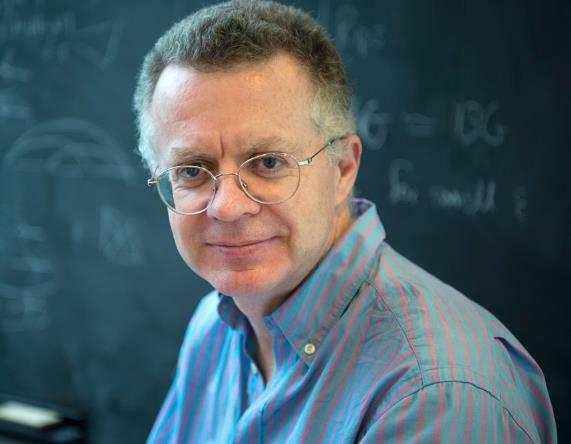 He is also known for his work on the foundation of quantum physics including Hardy’s paradox, a thought experiment he devised in 1992, as well as his widely cited 2001 axiomatic reconstruction of quantum theory that led to a surge of papers in this area. He is working on operational approaches to Quantum Theory, Quantum Field Theory, General Relativity, and Quantum Gravity. It is deeply mysterious that consciousness can arise in the physical world. In this talk I will look whether we can gain any insight into this by thinking about the foundations of quantum theory. I will develop three separate strands of thought. The first is that quantum theory is fundamentally an operational theory – it invokes the notion of agents making choices and making observations. The second strand concerns computation. If we think of the brain as a computer of some sort, then we need to have the right theory of computation. Is the brain a classical computer, a quantum computer, or even a quantum gravity computer? The third strand concerns quantum entanglement. I will discuss an experiment in which humans are used to switch the settings at each end of an experiment in which quantum entanglement is shared over a large distance (1000km) and the implications an anomalous result would have for the study of mind.